Welcome to the Danesholme Infant Academy. I am proud to be the Principal at the Academy and look forward to working alongside staff, parents and the community to support all our pupils. 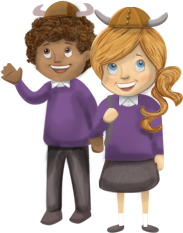 This is such an important stage on the children’s learning journey and together with staff, we aim to create a safe, caring and exciting learning environment where children thrive personally, emotionally, socially and academically. School Closes for Half Term. Looking forward to seeing our children on Wednesday 5th September 2018. We’re excited to announce that our new and refreshed website is live! In July 2017, the Trust launched its ‘Your Character Counts’ strategy which places an emphasis on providing opportunities for students to develop important character traits and employability skills.